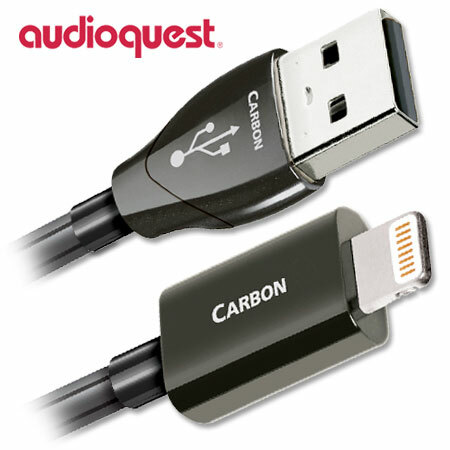 The latest addition to AudioQuest’s comprehensive USB cable lineup includes 4 existing models now available with Apple’s® Lightning™ connector (as used on all recent iOS devices)on one end, and the standard USB A connector on the other end. Whether connecting mobile devices and their content to the USB ports now common to so many automobile entertainment systems, or to a full-blown stereo system at home, a cable with minimal distortion is required for sound that is full, engaging and 3 Dimensional. Thin and flat is a great form factor for an iPhone or iPad®, but that’s not how the music from those marvelous devices should sound! 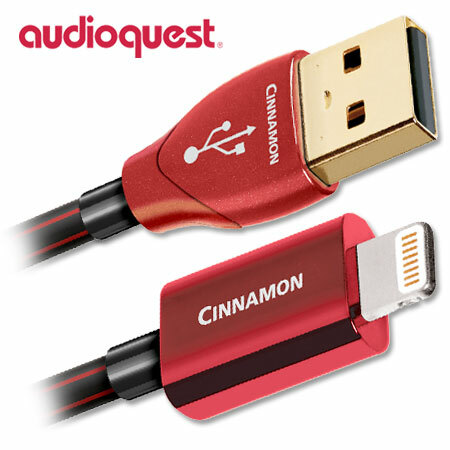 These new versions of Forest, Cinnamon, Carbon and Diamond all use solid conductors, as is true for all AudioQuest’s USB cables. Solid conductors eliminate strand interaction, one of the biggest sources of distortion in cables. Three of the models use silver plating over LGC copper because silver plating is a very cost-effective way to gain much of the low-distortion advantage of solid silver at a fraction of the cost. Forest’s superior sound is in part made possible by its solid 0.5% silver conductors. Cinnamon employs 1.25% silver conductors and adds a Noise-Dissipation System (NDS) layer. Carbon’s solid 5% silver conductors and Carbon-Based 3-layer NDS significantly increase the sense of audio immersion, and Diamond, with its solid 100% Perfect-Surface Silver (PSS) conductors and Dielectric-Bias System (DBS), offers the ultimate in natural ease and sonic purity. AQ’s take-no-prisoners Lightning connector uses an ABS shell, over a solid one-piece die-cast shield, over the properly stress-free internal connections.